Donald Trump today sabotaged decades of American efforts to resolve the Israeli-Palestinian conflict. By announcing his disastrous new policy on Jerusalem, he is causing severe damage to the prospects of Middle East peace, imperiling lives, and degrading US leadership. Defying the counsel of America's top diplomats and security experts, as well as the urging of US regional and international allies, Trump decided to put politics before policy, to cater to domestic extremists in his political base, and to toss a match into the most combustible place on earth: the holy city of Jerusalem. Trump's irresponsible action has further eroded American prestige and influence in the international arena. The price of this reckless action will be paid by Israelis and Palestinians, who want and deserve peace. For decades, American presidents strived to be stewards of that goal. While Trump claims to want the "ultimate deal," his announcement today will achieve the opposite. Violent demonstrations are already breaking out in the West Bank and Gaza, the US consulate in Jerusalem has issued a security warning for American diplomats and citizens, and the leaders of Jordan and Turkey warned today that terrorists will benefit from this reckless action. Today, President Trump has at last endorsed a two-state solution, as Americans for Peace Now has relentlessly urged him to do. Unfortunately, he has done it in a context in which this endorsement is entirely undermined by today's move regarding Jerusalem. Trump and his team can still salvage the two-state solution, but only by adopting a realistic peace plan that addresses the needs and aspirations of both sides. APN has always contended that the recognition of Jerusalem as Israel's capital should come only in the context of a final settlement in which Palestinian claims to Jerusalem are addressed. Acting otherwise pre-judges the outcome of final-status negotiations. This act disregards the potential for the loss of human life in order for Trump to pander to the ideologues in his base. Let us be clear: Jerusalem is Israel's capital. It is a fact. The question is: how can Jerusalem's future status be addressed in a way that serves the cause of peace? What our sisters and brothers in Israel need is not recognition; they need a real friend in the White House who will help them reach peace with their neighbors and secure Israel as a state that is both Jewish and a democracy. 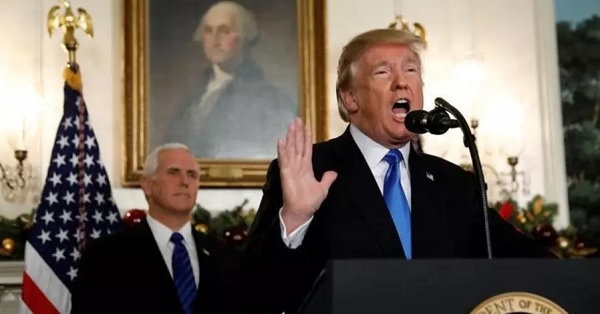 APN's President and CEO Debra DeLee said, "Trump is causing severe damage to the prospects of Middle East peace, imperiling lives, and degrading US leadership. "Trump argues that this move simply recognizes an existing reality. In fact, he is creating a new reality. It is a reality in which our allies have good reason to conclude that America has relinquished any pretense of serving as an honest broker in Israeli-Palestinian peace efforts. It is a reality in which America sides with the exclusivity of Israeli claims and ignores Palestinian aspirations. It is a reality in which America's president acts alone, furthering isolating the Unites States on the world stage." For more, read APN's "7 Things You Should Know: Trump's decision on Jerusalem." 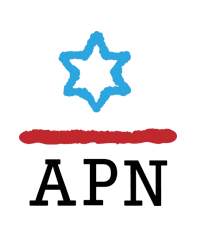 Press Release: APN to Netanyahu: Use Congressional Speech to Repair Damage!